Check out the Foreign Press page. Check out the Tour Schedule page for concert dates. Check out Will's page on Facebook. 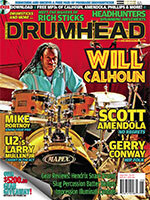 Check out Will's page on The DrumNetwork. New Album: "Life in This World"
Hard-hitting Living Colour drummer Will Calhoun returns to his Jazz roots on Life In This World, which features Ron Carter, Donald Harrison, Wallace Roney, Marc Cary, Charnett Moffett, John Benitez, and Cheick Tidiane Seck. Will an honoree at 2019 Annual Berklee Alumni Achievement Awards, April 4, 2019. Join Berklee President Roger H. Brown as the accomplishments of six alumni are celebrated. This special program recognizes College and Conservatory Alumni who have reached chart-topping success in various fields in and around the music industry. 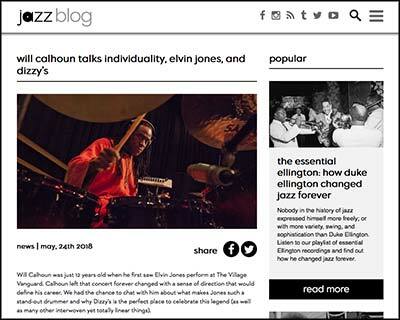 Read an interview with Will on the Blog of Jazz at Lincoln Center, "Will Calhoun Talks Individuality, Elvin Jones, and Dizzy's", in advance of his performance at Dizzy's Club Coca-Cola on Monday, May 28, 2018. 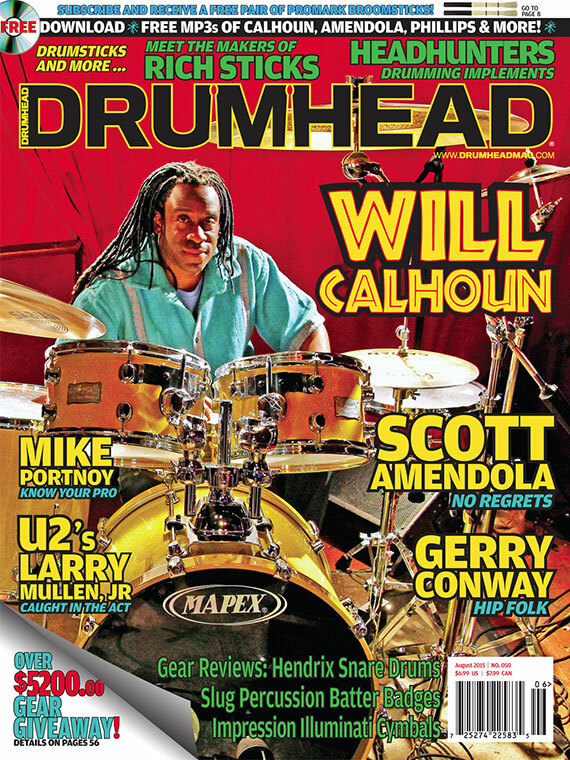 In the January 2018 edition of Classic Drummer magazine, Will talks about childhood musical influences, education, career with Living Colour, approach to playing drums, playing a variety of African instruments, musical influences throughout his career, the changing music industry, and more. 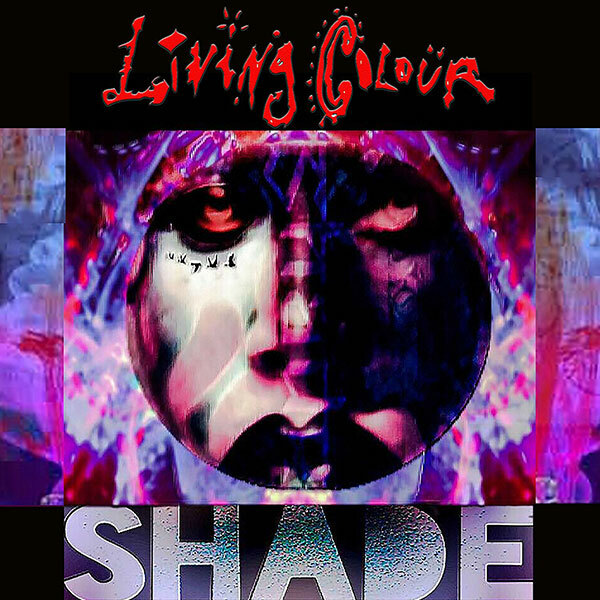 Don't miss Living Colour performing as the musical guest on Late Night with Seth Meyers on Monday September 11, 2017 promoting their new album Shade! Shade will be available from Amazon.com and iTunes/Apple Music. Click the image to see the cover larger. No-one practices 'hybrid' drumming more creatively than Will Calhoun. Even when he plays acoustics, he uses effects and processing to add texture and colour. 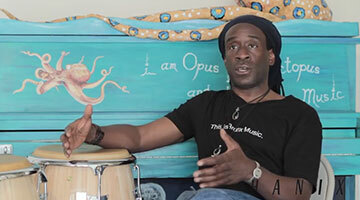 The Living Colour drummer shares his drumming journey and his views on the use of electronics in an interview in the August edition of digitalDrummer. Read how he got started, how he turned pro, what equipment he has tried and how he combines electronics and acoustics. The band also talks about the album, inspiration behind its songs, and future tour promotions. Check out this great article from Metroactive.com (San Jose) that discusses Will's background and latest projects, and also promotes Will's performance at the Hammer Theatre Center on April 30, 2017 as part of San Jose Jazz's celebration of International Jazz Day. Australian Musician's Greg Phillips sat down for a chat with Living Colour's drummer Will Calhoun while he was in Melbourne playing at Bird's Basement with jazz great Mike Stern. Will discusses the upcoming Living Colour May Australian tour, travel, drumming, drum gear and the new Living Colour album 'Shade' due out by year's end. Will Calhoun will be live on WBAI Radio 99.5 FM in NYC on Friday, January 20, 2017 from 6-8AM with Legendary host Felipe Luciano to discuss his upcoming Blue Note performances, his latest Elvin Jones tribute recording, as well as traveling and partially living in West Africa. Listen to streaming audio using the Pacifica Radio App for iPhone and Android (choose "WBAI - New York" inside the App) at 6AM. Will is listed in several categories, and may be written into others if desired. Voting is open between November 1 and December 15, 2016 from the Modern Drummer Magazine Readers Poll page. 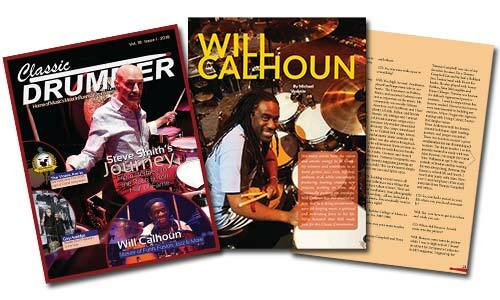 "Is There Any Doubt Will Calhoun Is One of Our Greatest Modern Drummers?" Ron Hart of the Observer (New York) makes the case in his article which interviews Will, discusses his new Celebrating Elvin Jones album, and talks about Living Colour's new Mixtape EP. In a NY1 video, Living Colour members talk about their cover of "Who Shot Ya?" by Notorious B.I.G. to raise gun violence awareness. Living Colour's "Who Shot Ya" will be available September 9, 2016 from Amazon.com and iTunes. 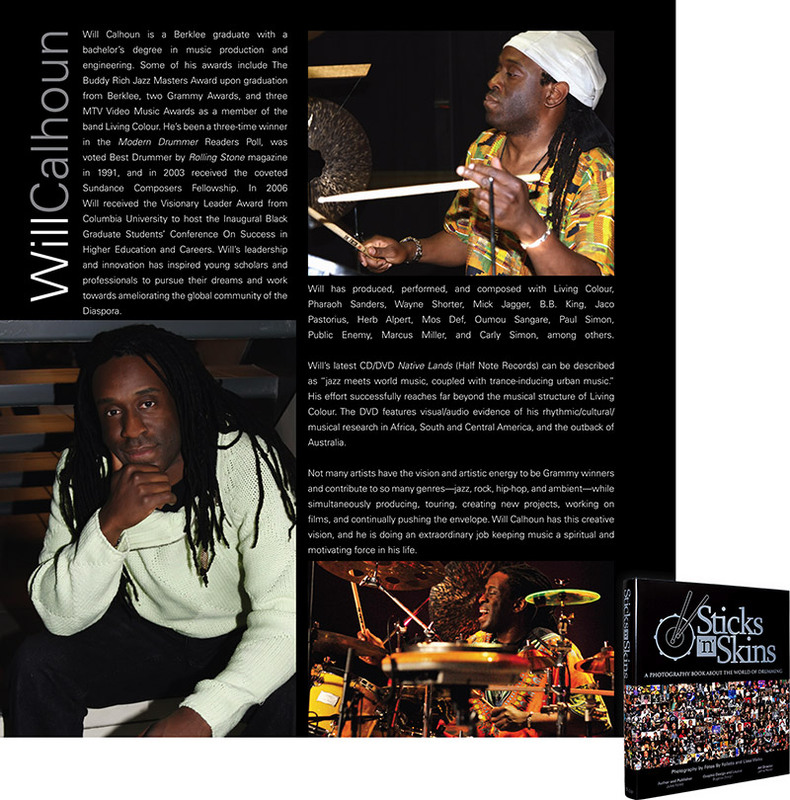 Check out the four-star review for Will's new album "Will Calhoun: Celebrating Elvin Jones"
"Will Calhoun: Celebrating Elvin Jones"
Please support the The Gloster Arts Project, which benefits kids who have little or no access to the arts. Your support can help make a difference. 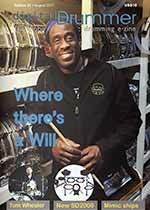 Will is the subject of Drumhead magazine's August 2015 (Issue #50) edition, with a cover photo and 18-page article. The in-depth article features many photos, insights and anecdotes concerning Will's influences, development, gear, career and many projects. South Orange Village and Seton Hall University announced that the first South by South Orange Festival will run from June 26 to June 28, blending art, music and technology in a three-day affair reminiscent of the famous annual South by Southwest Festival in Austin, Texas. Check out the great writeup of The Way Of The Rain performance project from the recent performance at the 2015 SunDance film festival in Park City, Utah. Will Calhoun performs for the Vic Firth cameras during a recent shoot in New York City. The winner of this Charitybuzz auction will receive two tickets to any US Living Colour show during which guests will be allowed backstage for a�sound check and a meet and greet with drummer Will Calhoun! Auction proceeds benefit The Geena Davis Institute on Gender in Media. Please note: this auction ends Wednesday, December 17, 2014 at 3:12 p.m. EST. Will performed at Southwestern College in Chula Vista, California as part of a lecture series for recording arts students. The College's newspaper, the Southwestern College Sun, interviewed him afterwards, in which he spoke about becoming a musician and his studies at Boston's Berklee College of Music. Click the image to see a larger version of the flyer. 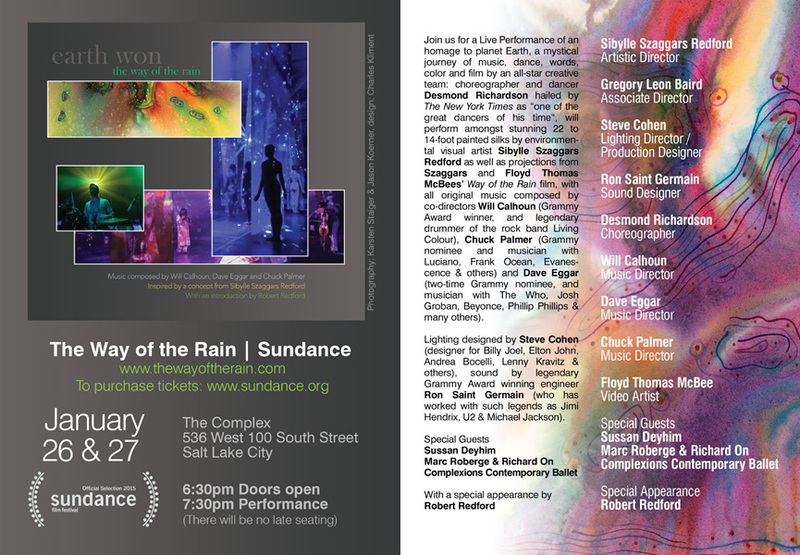 Will Calhoun will perform in "The Way of the Rain" as a special event for the 2015 Sundance Festival in Park City and Salt Lake City, Utah. The event will be held on January 26 and 27 — Will's performance date will be announced. The event it will be held at the annual Sundance Film Festival, which showcases American and international independent films in a competitive event. Actor and Utah resident Robert Redford is the President and Founder of its governing organization, the Sundance Institute. Check out The Way of Rain Website for further information. The School of Rock in Rockville Centre NY, a music school with over 100 francise schools worldwide, honors Will Calhoun and Doug Wimbish with a ribbon cutting and room dedication ceremony on December 20, 2014. A musical celebration will be held with performances by Will and Doug, Troy, The Inoculated Canaries, and Craving Strange. The event is by invitation only. 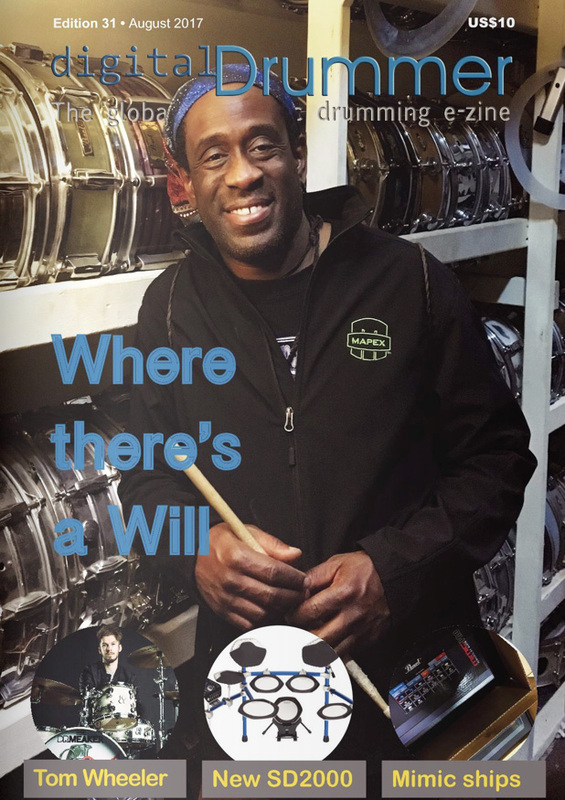 Will talks about how he got started as a drummer, recording with Living Colour, the Bronx Music Heritage Center, the Bronx environment, and growing up there. Will is interviewed on the "Colors of Jazz" program, broadcast by WICN 90.5FM (Worcester, MA.) "He'll talk about touring the world with rock band Living Colour, honing in on his career in jazz and his album Life In This World released in 2013 with Motéma Music." The program will be broadcast on August 9 at 4pm, and may be listened to on the radio (90.5FM), or over the Internet from WICN's Listen Live page. Will Calhoun's music featured in "Boogie Down Booth" installations, celebrating the music of the Bronx in NYC; Will quoted in Wall Street Journal article. Will is interviewed on the latest edition of Drummer Radio, and selected tracks that have musically influenced him are played. The interview can be listened to at the bottom of the page. In the article, Will talks about Living Colour's upcoming new album, "Cult of Personality", hip-hop and rap, touring with Living Colour, the Black Rock Coalition, and classic rock. 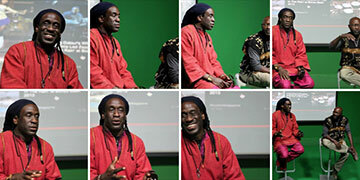 Will visited the Sup'imax Digital Arts and Crafts Higher Education Institute in Dakar, Senegal. Click this image to see a larger version of the flyer. 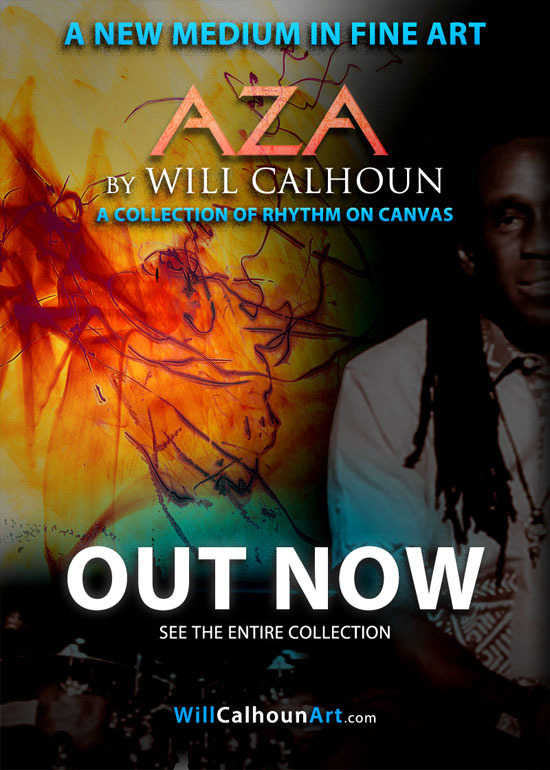 Will Calhoun's AZA art collection is now available for review and purchase at www.willcalhounart.com. 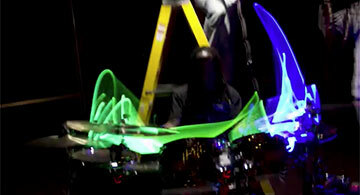 The collection was created by Will using a variety of lit drumsticks to build the visual artwork, like a painter using brushes with different colors. Will Calhoun will unveil an art collection created from rhythm on February 20, 2014. 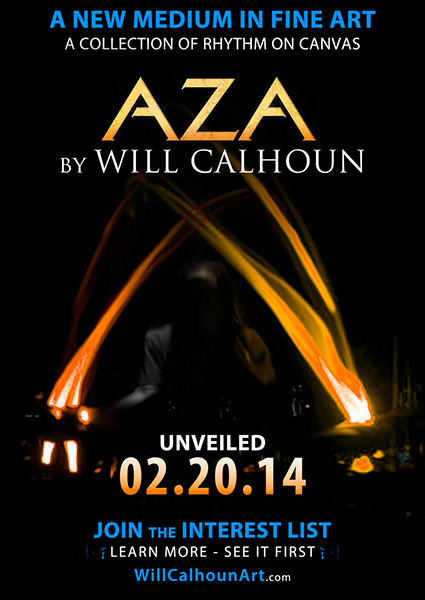 Like a painter using brushes with different colors, Will used a variety of lit drumsticks to build the visual artwork featured within the collection titled AZA. Get on the interest list to learn more and see it before the release at www.willcalhounart.com. Listen to Will's interview on WBAI's "Education At The Crossroads." Listen from the WBAI Radio Show Archive page. Listen to the January 9, 2014 episode of the Education at the Crossroads Podcast (XML, Podcast feed file) using a Podcast player, such as iTunes (iTunes 1-Click Subscribe) or HermesPod for Windows. Please join Will in supporting WHEDco whose mission is to make the Bronx a more beautiful, equitable and economically vibrant place to live and raise a family. Click here for a short video compilation of the sounds of Bronx percussion from Season 1 of Bronx Rising! and 2012's Living Legends concerts, including a clip from a performance by Will Calhoun and Friends in support of this wonderful organization. The Berkley BeanTown Jazz Festival 2013 was reviewed, as well as Will's Trio performance at the event. Drummer Simon Collins (Phil Collins' son) picks 8 greatest drum albums for MusicRadar - Time's Up is on the list! Hard-hitting Living Colour drummer Will Calhoun returns to his Jazz roots on the upcoming album, Life In This World. The album features Ron Carter, Donald Harrison, Wallace Roney, Marc Cary, Charnett Moffett, John Benitez, and Cheick Tidiane Seck. Modern Drummer and Will Calhoun have teamed up for a contest to win a 30 minute Master Class with Will, in celebration of Will's new record, Life In This World. Enter now! 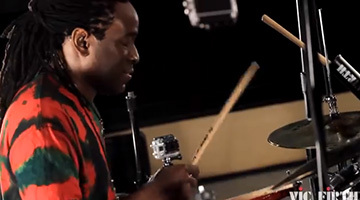 Live High Five Interview: "Drummer Spotlight with Will Calhoun @willcalhoundrum @livingcolour; Life In This World out 5/14!" Will talks about 25 years of Living Colour's Vivid, how he got into playing the drums, his drum setup, his new Life in This World album, writing music, advice for beginning to play the drums, and more. Will was interviewed and songs from his new Life in This World album were played on the WBAI "Suga' in My Bowl" program. You may listen to a rebroadcast from the "Suga' in My Bowl" archive stream file (m3u format.) This stream file can be played in audio programs like iTunes and Winamp. Will's first song starts at 3m 50s, and the interview begins at 7m 55s. 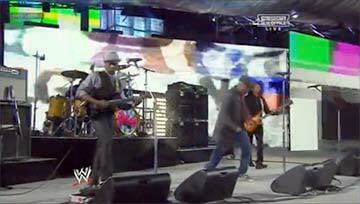 Living Color performed their hit, "Cult of Personality" live at Wrestlemania XXIX. Drummer Magazine (UK) talks with Will about his Native Lands album, drumming, the Living Colour 25th Anniversary Tour, and his drum kit. The Will Calhoun Trio's August 17th Hudson Valley Jazz Festival appearance was noted in the October 2012 edition of The New York City Jazz Record. The mention is in the article jump, atop page 46. 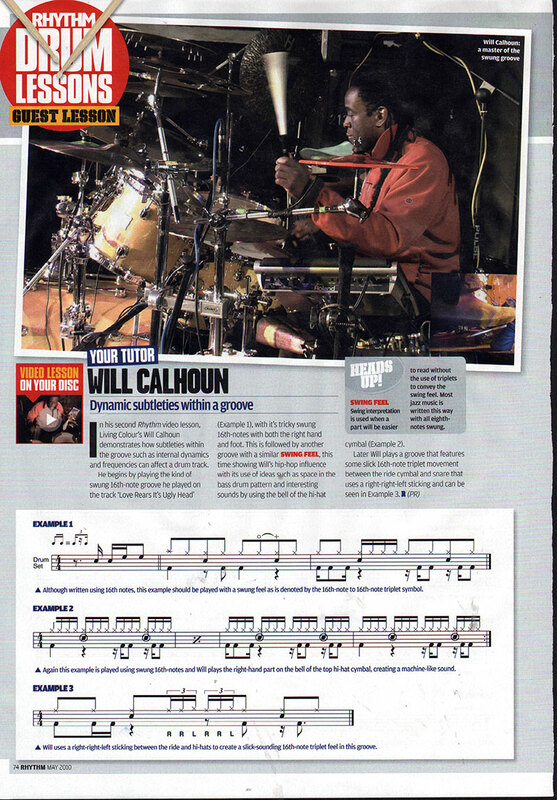 A feature article in the current issue of DRUMMER Magazine (UK) discusses Will Calhoun's upcoming London Drum Show appearance on October 14, 2012. Look for more coverage after the show. Billboard Interview: "Living Colour is 'Re-Thinking Blues and Its Relationship To Metal'"
Vernon Reid talks about Living Colour's next record, the blues, and his work with Spectrum Road. 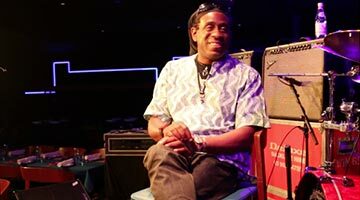 Will Calhoun and Doug Wimbish will join the Jazzmatazz band, which also features rapper Solar and musician David Scott. Solar revived the Jazzmatazz brand by forming the new touring band named after the legendary Jazz-influenced Hip-Hop albums. Living Colour joined a diverse lineup of musicians for a 100th birthday tribute to blues legend Robert Johnson at The Apollo Theater in Harlem. It was also a benefit for building the Blues Hall of Fame by the Blues Foundation in Memphis. "Elvis Costello, Living Colour, The Roots Pay Tribute To Robert Johnson At The Apollo", by Brian Ives, CBS 2 New York, March 8, 2012. "Live photos/review: Robert Johnson at 100", by Bill Murphy, Time Out New York, March 7, 2012. "Elvis Costello, Todd Rundgren, Living Colour Pay Tribute To Robert Johnson", by Brian Ives, CBS Radio, March 7, 2012. "Celebrating a Faustian Bargain, 'Robert Johnson at 100' at the Apollo Theater", by Nate Chinen, The New York Times, March 7, 2012. "Elvis Costello, The Roots, Living Colour, Bettye LaVette & Others Pay Tribute to Robert Johnson", by Tyler Coates, BlackBook Magazine, March 7, 2012. The interview took place for the French TV network's "Continent Noir" program, during the Stone Raiders' European Tour Paris stop in January 2012. 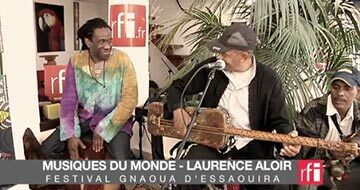 Visit "Continent Noir" February 12, 2012 episode (in French) to watch the program. The interview begins at the 17:27 position. Abel Folgar of the Broward Palm Beach New Times reviews Will's Native Lands, and its suitability as a Valentine's Day gift. Will jams with Bobby Thomas of Weather Report and the Monty Alexander Band. Video produced, edited and recorded by Andre Betts at Universal Music Production in Hackensack, New Jersey. The New Sounds program played Umoja and East from Will's Native Lands album. Visit the WNYC New Sounds page to listen to the program. 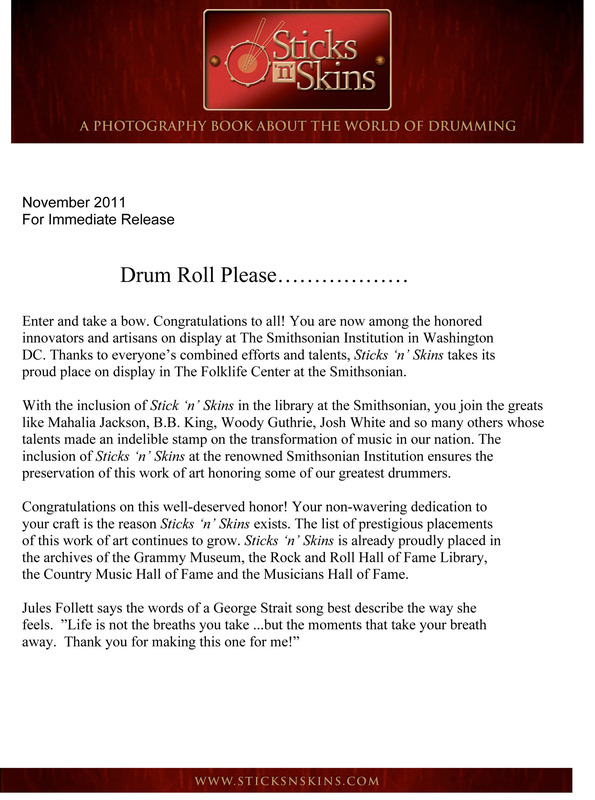 Sticks 'n' Skins, the celebrated coffee table book illuminating the eclectic world of drumming over the past 70 years (and featuring Will as one of the profiled drummers), was recently included in the library collection of the Smithsonian Institution in Washington, DC. Check out the Vic's Drum Shop Website for additional details and to confirm times. BBC Radio 5 live interview with Will on "Up All Night"
Listen in as Will talks about current events, life in New York, music, and politics with Dotun Adebayo of BBC Radio's "Up All Night" program. Read more on the "Up All Night" page. Will performed live ambient music and was interviewed on Delphine Blue's "Shocking Blue" program. You may listen to the program until October 6, 2011 on WBAI's Shocking Blue archive page. Will's performance and interview takes place during the show's last 30 minutes. The influential poet and musician, credited as being one of the creators of hip-hop and best know for the spoken-word song "The Revolution Will Not Be Televised", died on May 27, 2011. 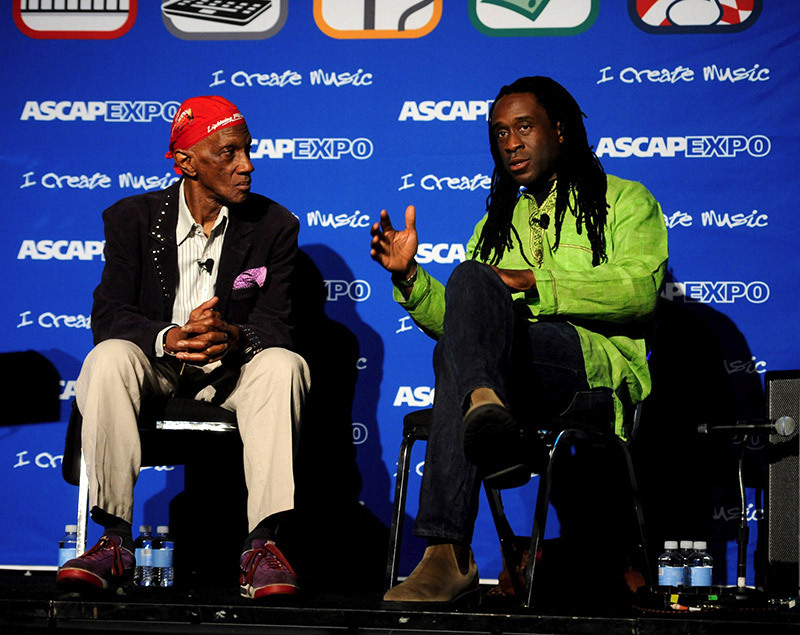 Click this image to see a photo gallery of Will Calhoun and Bernie Worrell at the 2011 ASCAP Expo. 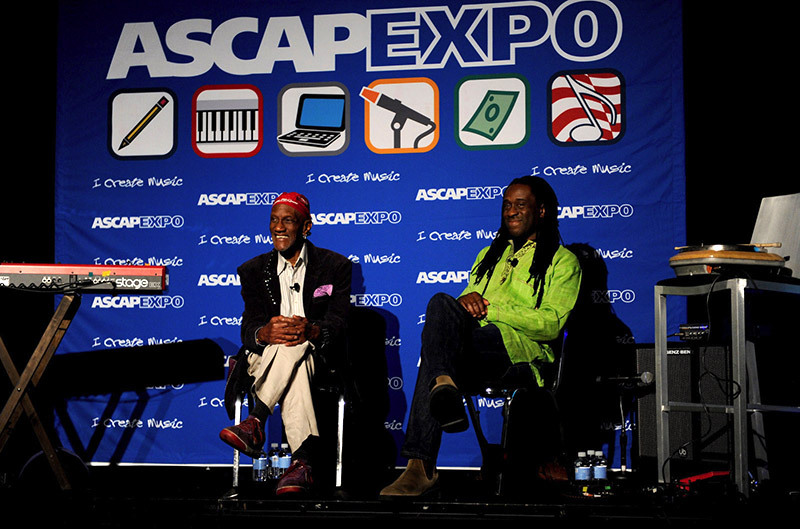 Will Calhoun and P-Funk/Talking Heads legend Bernie Worrell play an impromptu jam after their conversation at the 2011 ASCAP "I Create Music" EXPO. Will and "The Sound of Sci(l)ence"
Will played and lectured at Haverford College's "The Sound of Sci(l)ence", a three-day series of conversations, workshops, and performances exploring the intersection of music and quantum mechanics. The event was held June 15-17, 2009. Will was interviewed and has his songs played on Bruce Mack's FreeWorldNetworkRadio-X. Audio of the interview will be forthcoming. 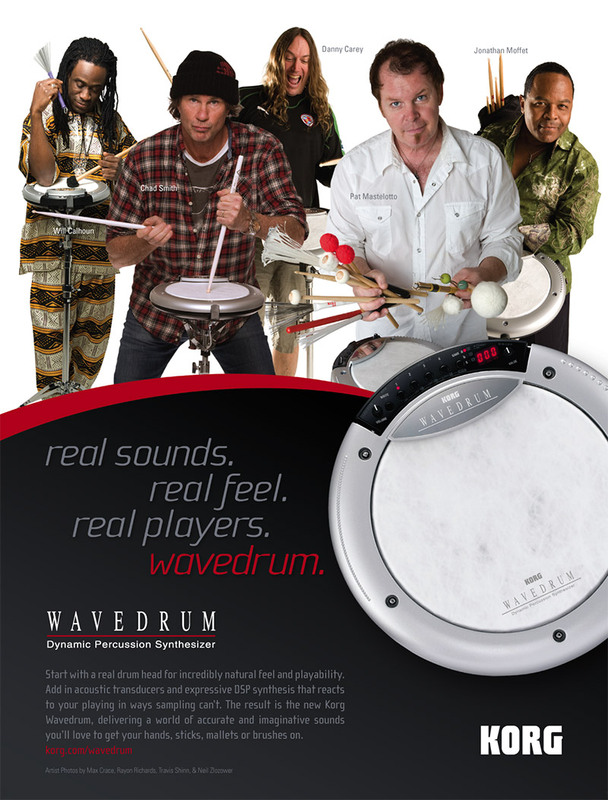 "The Modern Drummer Pro Panel will be a revolving group of twelve world-class drummers chosen annually by the editors of Modern Drummer magazine. Each panel member will contribute to the coming year's editorial mix, offering invaluable knowledge and advice via columns and features in Modern Drummer magazine and at moderndrummer.com"
As summarized by BlackRadioIsBack.com, Will talks about "his background in the Bronx, his various musical influences, how labels have split up the music scene way too much (including the terms "Black Rock", "Black Music" etc. ), his current and future music projects both on the solo tip & with Living Colour, some rather bugged out occurrences he had in the music industry, the importance of cultural ties in the creation of music and a lot of other cool things in a nice 45 minute time frame...check it out!" Doug Wimbish talks about Living Colour getting back together, releasing the band's new album, his role as executive producer and "ambiance director", his extended musical family, and what keeps him glued to Living Colour. Cory Glover talks about the unifying theme of "The Chair In The Doorway", making the album, selecting songs for concert tours, and being Living Colour's vocalist. Korg talks to Will about his tour performances and using the Wavedrum. Will gave a lesson on subtleties within the groove drum track. 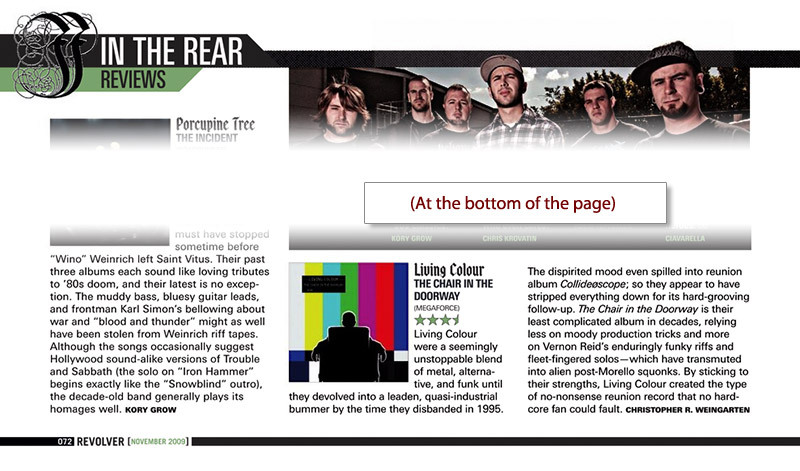 The video was on the disc included with the May 2010 edition of Rhythm magazine (UK edition). From the Bronx in New York City to the Sydney Opera House, it's a dream that's now been fulfilled. 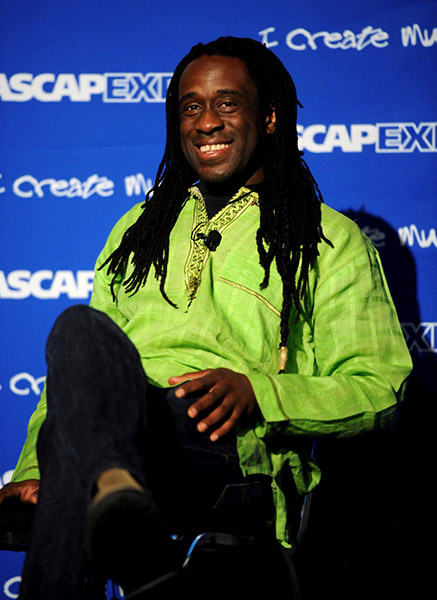 Will Calhoun is best known as the drummer of U.S group, Living Colour, and is considered as one of the best in the world. 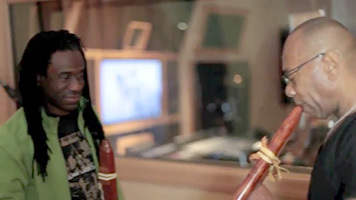 While in Australia touring with Malian singer Oumou Sangare - Will took time out to talk about his craft, his love of photography and why he travels the world researching the music of other cultures. Three music and video works from Will's Native Lands CD+DVD are part of the Streaming Museum's exhibition "New Era: The Middle East", which runs from October 8 to December 8, 2009. Revolver, "In the Rear - Reviews: Living Colour, Chair in the Doorway)"
Sticks 'n' Skins: A Photography Book About the World of Drumming features Will Calhoun and over 500 drummers from the drumming community. A perfect gift, music lovers will discover the heartbeat of music this holiday season in this 560-page coffee table book illuminating the eclectic world of drumming over the past 70 years. Fotos By Folletts photographers traveled to 53 cities in four countries and photographed over 500 drummers to be included in the pages of this captivating hardcover book. From the true legends to students and teachers, drum- techs to cartage companies and shop owners, Sticks 'n' Skins features some never-before-seen photos and stories, and preserves the legacy of this unique group of musicians. Visit www.sticksnskins.com for more information. "The Chair In The Doorway" is #2 on the Dutch Alternative Top 30 chart! Living Colour Interviewed on National Public Radio's "All Things Considered"
Vernon Reid and Corey Glover talk about changes over the years for the band and inspiration behind some of the new album's songs. Corey Glover of Living Colour talks about what he and the band have been doing, and about the songs on the new album. The German Webzine BurnYourEars interviewed Will about Living Colour and its new album, "The Chair In The Doorway." After a decade of inactivity, Living Colour, the groundbreaking all-Black metal-funk, etc. hybrid led by guitarist Vernon Reid and vocalist Corey Glover, returned in 2003 with Collideøscope. That album, like 1993's Stain, retained the ferocity and braininess of the group's early work, but alienated some older fans who saw its adventurism as too much of a departure. Another break followed–filled with rare and live releases–and now comes The Chair in the Doorway. This time, everyone should be happy. From the crackling soul-funk of "Bless Those" to the raging lead-off track "Burned Bridges," the psychedelic surf of "Out of Mind" to the sinister "Method," the quartet corrals its innovative urges into a set of tightly constructed new tunes that go easy on the experiments but don't seek to resurrect the '80s either. Click here for the episode page. Living Colour appeared at Criminal Records (Atlanta, GA) and played at the store (YouTube video) on September 14, 2009. Click here to see the photos in the slideshow. Click here for the Q104.3 audio-on-demand page. Living Colour performed two songs live on "Soundcheck", WNYC 93.9FM at 2 p.m.
To: Celebrate the release of On the Move � Sounds Inspired by Mumia Abu Jamal and to celebrate the voices that have come together to demand through words and song that Mumia Abu Jamal be set free! This 2-disc album is a triumphant tribute to Mumia�s living legacy and the excellence of all of the artists who have contributed to this masterpiece! Those lending their voices to this powerful collection range from renaissance to world-renowned artists such as Grammy winners Public Enemy, Maya Azucena and Living Colour, Abiodun Oyewole of the world-famous Last Poets, who are internationally credited as the godfathers of rap, Philadelphia born Res whose song �They Say Vision� hit number one on Billboard charts, internationally acclaimed jazz and R&B vocalist Stephanie Rice, Immortal Technique � one of the most well-known unsigned rappers in the world, two-time National Endowment for the Arts winner Fred Ho and two-time John Lennon Songwriting Contest winner Nana Soul. Other artists on the compilation include Kahlil Khan, Latisha Divine, Hasan Salaam, AKIR, Kobe James, The Hard Wash, SoSoon, Spiritchild, Kafele Bandele, Voice of the Children, Yaw and Melinda Davis. On the Move also features commentary by Larry Holmes, Monica Moorehead, Richard Kossally, Sara Flounders, Michael Kramer, Larry Hales, Brenda Stokely and Johnnie Stevens. FEATURING LIVE PERFORMANCES!!! ON THE MOVE AVAILABLE AT SPECIAL PRICE FOR RELEASE PARTY ONLY!!! 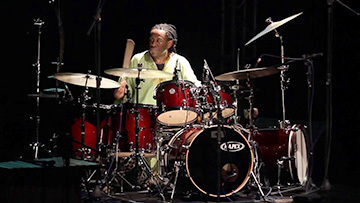 "Will Calhoun Breaks Down the Learning Process with Living Colour: Living Colour's Drummer Prepares for the Release of the Bands New Disc and Fall Tour"
Perhaps my greatest hero as a drummer is Clyde Stubblefield. He played like he was from another planet: no one before him or after him played like he did on those great James Brown sides. I wondered what became of him until a few years ago I heard him name mentioned as the drummer on a radio show on NPR. He's in a bit of ill health. He has had bladder cancer and needs a new kidney -- but he's way down the donor list because of the cancer. He's soliciting donations and donors. If you ask me, every hip hop artist ever should donate something because so many of those records use his beats. Where would hip hop be without Stubblefield? Here's the story from a Madison, Wisconsin newspaper. His email address is contained in the story. 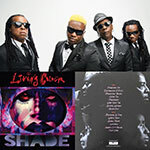 Living Colour will release their first new studio album in five years entitled "The Chair In The Doorway", September 15, 2009 on Megaforce Records. Will Calhoun is a featured artist for a three-day series of conversations, workshops, and performances exploring the intersection of music and quantum mechanics at Haverford College in Pennsylvania. Click here for an article reviewing a recent performance of Will and the Charnette Moffet Trio. Check out the video and review from Will's appearance at Adams Drummers Festival 2009. 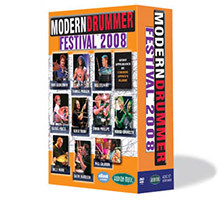 This 12 hour, 4-DVD set features Simon Phillips, Gavin Harrison, Will Calhoun, Todd Sucherman, Derek Roddy, Billy Ward, Carmine Appice, Derek Roddy, Dafnis Prieto and many more. Click here for a link to a video of Will's 1/5/09 Jazz performance on the Fox Morning show, with Keyboardist Marc Cary, featuring Will's composition "DORITA". Links to several Living Colour videos are also featured on this page. Living Colour headlines "Rock For Barack", a benefit concert in New York City also featuring The Family Stand, Earl Greyhound, Danielia Cotton, and Viva Mayday. 100% of the profits from the concert will go to Moveon.org in support of Barack Obama's presidential campaign. Living Colour drummer Will Calhoun conceived the event as "a night of music with local musicians whose songs will get people thinking about change. That's what this concert is really about: we want people to use the occasion of Barack Obama's historic candidacy to make a change in their lives that goes beyond election day- taking responsibility for their actions, and thinking in new ways about our country, our politics, our families, and our future." Click here for an article entitled "Rocker Calhoun gives sound advice to area drummers" covering Will's recent clinic in Rome, NY. Photographer Tony Graves is having a groupshow of his photography - featuring Will Calhoun and other musician subjects. Location is 460 Washington St. Newark, NJ 07102, and the exhibition is at 5pm. This past weekend marked the debut of Black Holes. Though I wasn't able to attend Thursday's performance I was able to attend Friday's and Sunday's. Each performance included healing vocalizations, poetry, flute, and dance. Will easily moved from electronic to indigenous instrumentation and from rhythmic to melodic sounds. The combination of rhythmic and melodic sounds and video imagery punctuated by various styles of dance and poetry had an indescribable effect. So profound and welcome was the performance effect that I was reluctant to think, speak, or stand up after it concluded. The sentiment was shared by the persons with whom I sat. I likened the effect to being on the brink of spiritual ecstasy without feeling the need or desire to take that final plunge. Sunday's performance also featured Moroccan performer Hassan Hakmoun and Jeff Smith of The Family Stand. The most extraordinary part of Sunday's performance was during what I will refer to as the hip-hop segment of the performance. The segment was initiated by African stepping. An MLK speech about poverty was then heard as the stepping continued. Will then brought a drum-machine in the audio mix at which point the dance moved from stepping to hip-hop. Poet Louis Reyes Rivera recited a poem about the hip-hop culture. This segment was magical and meaningful and simultaneously evoked goose bumps and tears. - New York Journalist/Media Co. Yes, Buddy Miles was a huge influence on my drumming. His groove was heavy and funky. He wrote fantastic classic songs, his voice was directly connected to New Orleans Blues, Church-Gospel, 70's funk/soul. Buddy supported Living Colour -- every show we performed in Chicago, Buddy would appear backstage. He was very proud of Living Colour, and we (Living Colour) are still huge fans of the "Band of Gypsys". There are many examples of great Buddy Miles tracks... I recommend the Buddy Miles Express recordings, however my favorite recording of his is Jimi Hendrix - BAND OF GYPSYS concert live New Years Day 1970 at the Fillmore East in NYC. This entire recording is a Rock and Roll/Blues Classic. I attended a benefit/auction for Jimi Hendrix in 1992... I actually won a bid on one of Jimi's never used Fender Strat guitars. Buddy attended as well as Jimi Hendrix's Father Al Hendrix. In 1995 I was approached by a Major record label to produce a Buddy Miles recording. The label was uncertain about our collaboration, so we had to record a demo. I wrote a tune called FATHER. I played drums, TM Stevens-Bass, and Buddy on Guitar and Vocals. The track is Fantastic. Many people are not aware that Buddy plays guitar just like Jimi -- it's frightening. The track was never released due to disagreements with Buddy's legal team and the record company. I own the Masters, so I plan to release this track. 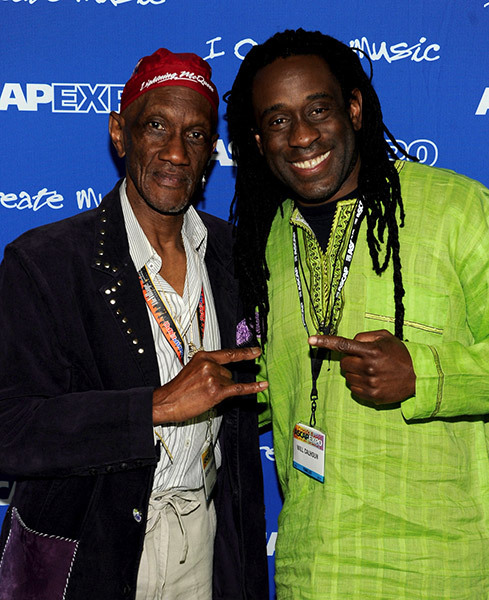 In the past 5 years Living Colour was invited to perform on proper Jimi Hendrix tribute tours in America, featuring Billy Cox, Buddy Miles, Mitch Mitchell, Buddy Guy and others. These tours were amazing. Watching these guys play and listening to the stories about Jimi, Woodstock, etc. were priceless. We are living in fast times, with many distractions. Our memories become short... however we have lost a Giant. A great human being... and Genius Musician. We should never forget! 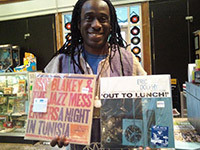 Will Calhoun is the Special Guest on "Audio Gumbo" hosted by Charles Blass, on WKCR-FM NYC, 89.9FM and www.WKCR.org. Will Calhoun will appear on WBAI 99.5FM New York radio morning show from 8:30 - 9am discussing his upcoming performances at CACHACA this weekend, as well as few other new topics. You can also listen to the interview via internet by visiting www.WBAI.org. Ethel Calhoun is leading a great dance/fitness class in Brooklyn that is worth checking out! DANCE VIBRATIONS is a high-energy movement experience that will invite participants to dance to rhythms from Africa, Brazil, Cuba and the Caribbean. Experience the beauty, energy, and power that dance can provide in a one hour class facilitated by professional dance instructor, performing artist, certified Personal Trainer, Ethel Calhoun. Release your mind and body and free your spirit. In this class various dance moves will be taught as well as fitness and strengthening exercises that will assist to create a strong body and improve overall fitness level. Learn dances that will invite your spirit to take flight. Experience an environment that is supportive to all dance and exercise levels. An exciting dance/fitness class is in full swing. Join the fun: wear something loose, bring a towel, water, footwear and bring your spirit ready for release. Don't delay: Have a registration form emailed to you by contacting us at info@Gureje.com. Whew, it is a blast!!! Class Schedule: 1 hour classes are held in 4 sessions and on Wednesday at 7:00pm and Saturday 10:30am. The site was recently honored with an "Award of Distinction - Design/Web site" by the prestigious Communicator Awards competition. "Congratulations to the team at PInG and Will on being recognized yet again for our successful collaboration and outstanding creative results!" Check out Doug's album Trippy notes for Bass. Will co-produced the album which features such luminaries as Bernie Worrell and Talvin Singh and mixes by Adrian Sherwood.